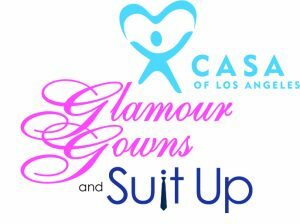 The Glamour Gowns and Suit Up (GGSU) event provides complimentary, brand new formal attire and accessories to youth, age 15+, in the Los Angeles foster care system. The event is produced each year by the GGSU committee in conjunction with CASA of Los Angeles. Thus far, GGSU has provided more than 5,000 dresses to youth who may not have otherwise been able to receive them. 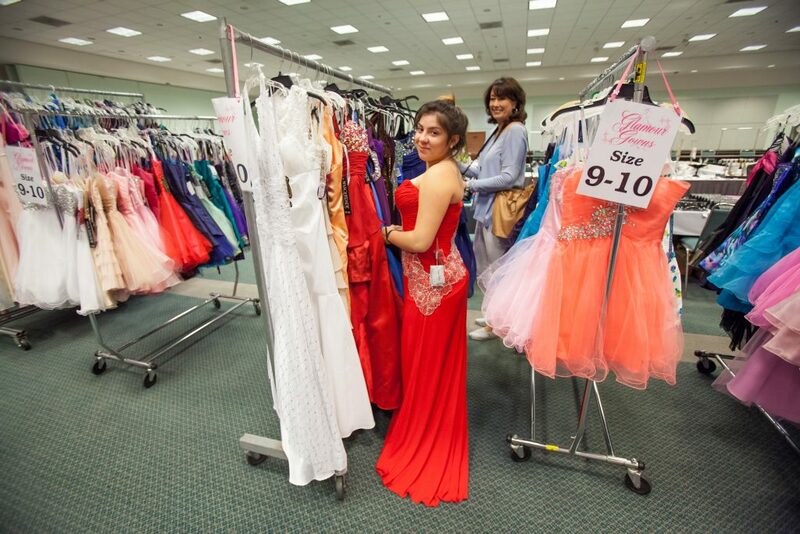 More than 400 teenagers receive dresses each spring. In 2015, for the first time, formal wear and suits were also distributed. We aim to create a heartfelt enrichment event for high schoolers in foster care. Glamour Gowns and Suit Up not only provides dresses and suits, but also helps build self-esteem, self-confidence, and an increased feeling of self-worth. Our hope is the experience will have a lasting and positive effect on these young people. Financial circumstances often do not allow for “non-essential” yet important items like prom dresses or suits for formal dances. Glamour Gowns and Suit Up seeks to create lasting, positive memories for milestone events like proms, in the lives of young people who have often endured and overcome difficult circumstances. The Glamour Gowns and Suit Up event is produced and managed by a dedicated committee who volunteer their time and resources. Members of I.A.T.S.E. Motion Picture Costumers Local 705, Costume Designers Guild Local 892 and Theatrical Wardrobe Union Local 768 donate their time to help tailor each dress or suit to a perfect fit. Thank you to our sponsors and donors: SHARE, Inc., HASK HAIR, drybar, Gianni Inc. Menswear, Chinese Laundry, Jenette Bras, Friar Tux Shop, April Love Makeup Academy, Dinair, Neutrogena, Kimberly Clark, Debi Dodge Photography, NYX Makeup, Cremo, OPI Nails, Tadashi Dresses, David Meister Dresses, Skechers and the countless number of volunteers. Invaluable support has also been received from Los Angeles City Councilmember Curren Price, Jan Perry, General Manager of the Los Angeles City Economic and Workforce Development Department, and the Los Angeles Convention Center. For any questions please email ggsu@casala.org or call 323-859-2888 ext 6324.